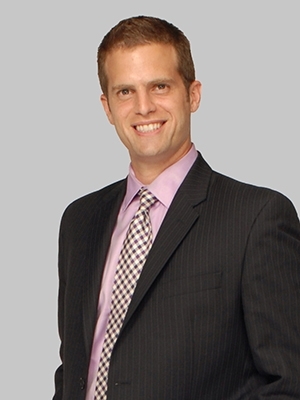 An experienced trial attorney, Daniel regularly counsels officers and directors, executives, shareholders, employers and employees in a wide range of sophisticated business issues and litigation. He represents clients in a variety of industries, including financial services firms, law firms, technology companies, hospitality companies, entertainment companies, hedge funds, real estate professionals, family-owned businesses, food manufacturers, publishing companies and insurance companies. Additionally, Daniel is a member of the American Arbitration Association’s Roster of Neutrals, a group of highly accomplished and respected professionals from the legal and business communities who are trained to manage the dispute resolution process with fairness and in a cost-effective manner. Representation of major international law firm and senior equity partner in defense of defamation and privacy claims. Representation of a Chapter 7 Trustee in asserting claims for equity compensation arising out of dissolution of a 600-member international law firm. Representation of partners in injunction proceedings arising out of a commercial dispute over the control of a major municipal building. Representation of a large publishing company in a stock/corporate governance dispute. Representation of officers and directors in breach of fiduciary duty claims arising out of an IPO. Represented a major snack food manufacturer in defense of class action claims. Representation of a fitness company in defense of theft of trade secrets and trade dress infringement claims. Representation of an apparel manufacturer in defense of allegations of misappropriation of corporate assets before the U.S. Bankruptcy Court, S.D.N.Y. Representation of an investment bank regarding an investment banking advisory fee. Representation of a British public company in defense of racial and pregnancy discrimination claims. Represented two former Marines in a trial before the U.S. District Court, S.D.N.Y., in defense of allegations of theft of trade secrets, unfair competition, trademark and trade dress infringement, copyright infringement and breach of noncompete agreement. Representation of a company in ERISA and Department of Labor matters. Daniel worked in the United States Attorney’s Office, E.D.N.Y. and the Securities Prosecutions and Special Litigation Bureaus of the New York State Attorney General’s Office during law school. Daniel shares his knowledge of art litigation and finance in the firm's Art Law Blog, which covers such topics as art recovery, art preservation, art as collateral and valuation of art as well as recent trends in the art market.